Want to Learn the Formula to Create Your Dreams, Live Your Life on Purpose . . .To Do Less and Actually Make More Cash? YES! Energy: The Equation to Do Less, Make More is your solution. Join Gary Loper and learn how experts stay on top and make more while doing less. Have you ever contemplated how entrepreneurs are in the lead, ahead of the competition? Or, how simple it is to make more money and have the time to live a full life, travel, enjoy your family and friends? The Answer is Simple: They Have YES! Energy . . . If You Want to Know How then Join Gary Loper’s 8-Week Course.
. . . YES! You will learn how to achieve your life dreams by expanding your financial, spiritual and personal awareness, regardless of your current circumstances, where you are in the world, or whatever challenges you may be facing. 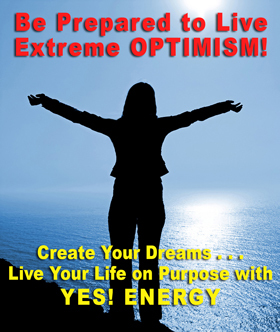 The path to an abundant life is on the path to YES! Energy. Register for the course NOW, 8-weeks for only $97.00. Buy The YES! Energy Book NOW, $24.95 includes S & H.
How to manage your energy more effectively to reach your goals, so you can stop struggling with time or resource management. How to shift your momentum, by learning what parts of the equation are missing and what is needed to be successful. How to create an environment of extreme optimism by accelerating creativity, faith and the skills you already have. How to tap into your faith; use it as vehicle to build a rich life. How to take advantage of the compelling opportunities to “Say Yes, then Figure Out How” and use your power of leverage to make things happen. How to change the conversations, your environment and be around ‘YES’ people. How to use language filters, positive speech and positive mindset. How to increase the joy and enthusiasm in personal relationships. How it is critical for ‘Building Better Relationships’. How to take action, how teams will facilitate growth. How to eliminate the divide between the personal, professional, and financial goals to create a unified life. How YES! Energy brings in all the components into your life; it is one integrated, congruent life. And, much more . . .
“YES! 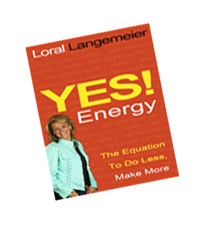 Energy: The Equation to Do Less, Make More” has inspired thousands of people to move forward in their lives in ways they never thought was possible. Listen to what Gary has to say . . . Become a part of the YES! Energy Movement NOW! Relationships are the core of who we are and everything we strive and embrace in all facets of life. YES! Energy will increase joy and enthusiasm in your personal relationships. Finally, there is a system to create balance in your personal, professional and financial life. So, what are you waiting for? Get started NOW. INVEST in YOURSELF! Meets once a week for 8 weeks, held on a live conference call. To learn about and connect with Gary 1st, to make sure he is a good match, sign up for a Strategy Session, 30 minutes for $25. If you enroll in the 8-week course after the Strategy Session, your investment will be applied towards your enrollment.